“What are you doing?” the Holy Spirit shouted in my ear. His abrupt leading shocked me and, for the moment, made me stop praying. It wasn’t a godly request, anyway. It was crammed with haughtiness, hence His warning. Setting the breakfast table with our “good” dishes and glasses, my prayer was that our South African guests would appreciate my efforts. My fine china wasn’t used very often. Mostly, it spent its time under the vaulted protection of our hutch. That’s why the Holy Spirit caught hold of me and asked, “Don’t you have it a little backwards?” The point wasn’t enjoying my “good” dishes in the dining room just because the “right” guests were staying with us. The point was celebrating our Lord united by our new friendships bound by the shared love of Christ. It struck me if my “good” dishes were the focus of breakfast, my priorities were skewed. 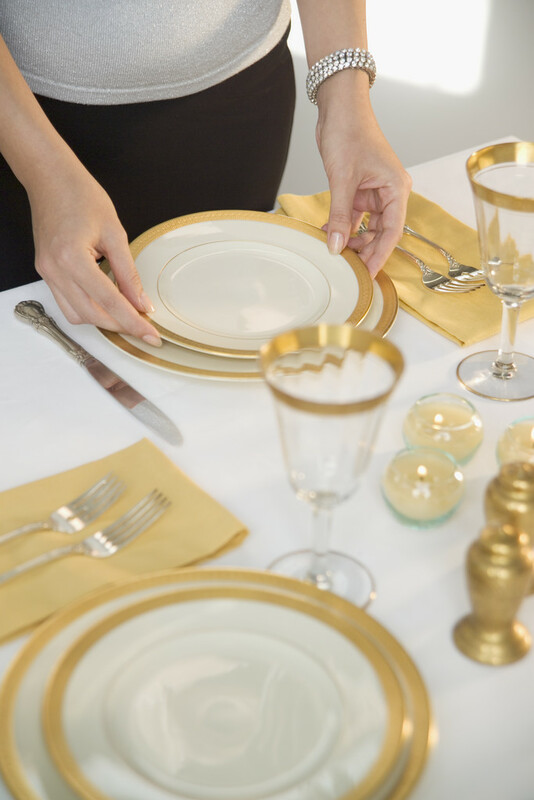 Is celebrating God at the table something only to be experienced when everything is perfect? Do we have to create a special atmosphere for it? I didn’t want my hospitality or gratitude reserved just for perfect conditions. We had three lovely South African blessings under our roof. They had crossed continents to stay in our home in suburban Chicago – coming to learn to maximize the transformative power of their local church. It didn’t matter if everything in the house wasn’t perfect. What mattered was our welcoming spirit, our authentic warmth and our desire to enrich and enlarge this opportunity. That’s what they would remember about this trip; not the dishes they ate on. Blessings are meant to be noticed, shared, appreciated and celebrated. Always. And that’s what I intended to do with these eager travelers. Appreciate the effort they took to learn more about Christ, loving them as fellow believers who share the Good News of Christ. We invite visitors to our home because it reminds us of God’s hospitality and His open arms. That’s why the Holy Spirit halted my prayers…so my heart will always beat faster for people. It may sound silly, but my desire is creating a home filled with a compassionate hospitality that in some miniscule way reflects heaven – a welcoming place of celebration. Nurturing guests fills me with overwhelming gratefulness for God’s love. Putting an extra measure of care and beauty into the moments we share with our visitors is one way my husband, Richard, and I are reminded how God showers us with His care every day in immeasurable ways. Celebrating our guests with the “good” dishes is a visual symbol to me, a way to cement an attitude of hospitality, gratitude and thanksgiving more deeply in my heart. Thankfully, the Holy Spirit refocused my attention away from dishes to people. Whether my guests are served on fine china or everyday dishes doesn’t matter…what matters is how effectively the love of God is demonstrated. I will never again be able to set the table with best tableware without being reminded of how much we all matter to God. It might be risky to set the table with the “good” dishes when travelers arrive, but I’m willing to take that risk. Sharing hospitality helps us, as a couple, remember how truly blessed we are. This entry was posted in Improving Every Day Living, Improving Relationship, Joy and tagged contentment, friendships, God's love, Joy, purpose, relationships on January 15, 2012 by Myra Wells.